In this episode Vagabond MD, an active participant in the WCI forum providing many readers with needed financial information, and I discuss his financial mistakes and what he has done right, what he teaches new doctors about personal finance and investing, what mistakes he sees his peers making, and whether he thinks becoming a doctor is still worth it. You can listen to the podcast here or it is available via the traditional podcast outlets, ITunes, Overcast, Acast, Stitcher, Google Play. Or ask Alexa to play it for you. Enjoy! 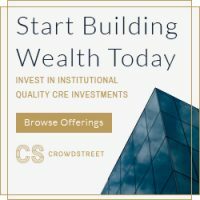 [00:01:22] Join the White Coat Investor Facebook Group if you haven’t already. [00:03:10] Vagabond MD shares his story of how he got into medicine, his experience doing a 6 year BSMD program, and choosing a specialty. [00:12:44]He shares some of his financial mistakes from early in his career. [00:23:35] I ask Vagabond MD to tell us about how his investments have changed over the years and what it has been like to be an investor over a couple of decades. [00:27:49] Vagabond MD talks about his experience first coming into contact with the WCI. [00:29:08] As a fixture on the forum who has helped thousands of people over the last few years, he tells us what he likes and dislikes about the forum and why he spends time there. [00:32:51] Vagabond MD shares his experience attending the WCI conference in Park City. 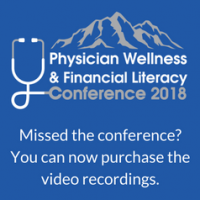 [00:40:05] As a bit of an authority when it comes to physician financial topics, Vagabond MD shares, if he had 10 minutes with every physician in the country listening, what he would teach them about personal finance and investing. [00:46:07] I asked Vagabond MD, “As you look at your colleagues that are about the same age, about the same distance out of training, what mistakes do you see them making? [00:51:20] I also asked, “think about the guy that is maybe considering medical school. Do you think becoming a doctor is still worth it? And does that change at a certain level of debt? [00:57:07] Go check out the WCI forum if you haven’t already. WCI: [00:00:20] Welcome to Podcast 62 an interview with Vagabond M.D. This episode is sponsored by our Friends at Zoe financial. 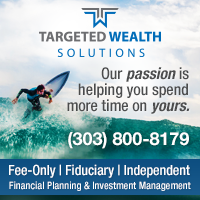 Finding a reputable financial adviser can be difficult and even more difficult is finding an adviser you personally connect with that also specializes in the areas where you need help, like taxes, diversify investments, or just budgeting. That’s where ZoeFin.com comes in. They have developed an algorithm that matches you with an adviser based on your unique life stage and goals. 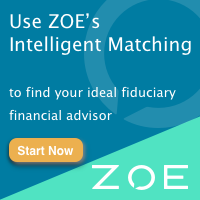 All the advisers in Zoe’s network are independent accredited fee only fiduciaries. And amazingly this means that Zoe rejects 95 percent of the advisers they interview so you don’t have to waste time with sales people. 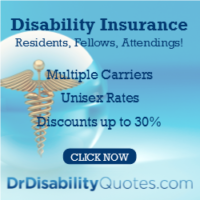 Visit Zoe fin dot com slash white coat to take their quiz and schedule your free call today. That’s Zoe Fin. ZOE f i n dot com slash white coat. WCI: [00:01:09] Our quote of the day today comes from Maya Angelou who said you can only become truly accomplished at something you love. Don’t make money your goal. Instead pursue the things you love doing and then do them so well that people can’t take their eyes off you. WCI: [00:01:22] Before we get into our interview today things that I want to mention to you. We’ve just started a new Facebook group. Now everybody learns differently. You probably prefer podcasts for instance in learning financial information while other people like blogs or perhaps e-mail newsletters or maybe even videocasts. But for those who like Facebook and like Facebook groups we’ve started a new group called white coat investors and it’s great for those who enjoy this sort of a medium on social media. 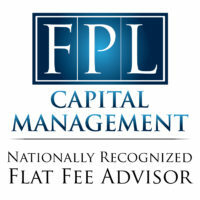 It’s a private group so you can actually talk about you know your personal questions as well as ask for recommendations and feel comfortable giving your true opinion about a particular financial professional for instance because it’s not available on the search engines and it’s just available to those who are members of the group. So check that out today if you’re into Facebook. Whitecoat investors is the name of the group. You do have to apply. You don’t have to be a doctor but you do have to be a high income professional and you can’t be a financial professional. So check that out today. WCI: [00:02:20] Now let’s get into our interview. All right. Today on the White coat investor podcast we have a special guest, Robert, also known as Vagabond M.D. from the White Coat investor forum as well as numerous social media places and on the blog comments, is with us here today. Welcome to the podcast Robert. Vagabond MD: [00:02:39] Thank you very much. Yes I’m very happy and honored to be here. WCI: [00:02:42] Now this is an honor to have him here. 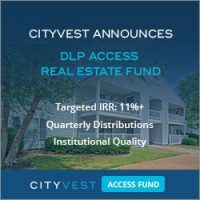 He is one of the most prolific members of the white coat Investor Forum and the way he ended up on the podcast was actually a number of forum members wanted him here. 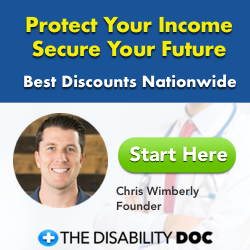 They asked me to go out and get them on the podcast because they want to learn more about him and more about some of what he has to say to physicians out there looking for financial advice and looking to secure their financial future. Vagabond MD: [00:03:10] First I want to address why I was asked to be on the podcast and I’m I think it’s a cruel joke. I’m not sure it’s on you or on me and maybe by the end of this we’ll figure that out. But that said I you know I recently had the opportunity to read your upbringing and your origin story. And as I was reading and I was thinking that this is you know your story is has nothing in common with mine and then maybe think a little more that you know most docs do really have a unique story and how they got to where they are. There are some common threads and paths obviously but I grew up in the north east. My father was an orthodontist. We lived in an upper middle class neighborhood and I went to a private school for high school and this is where my story is a little different than many. Directly from high school I was accepted into medical school in a 6 year BSMD program at the University of Miami. So I was reading your story taking the mcat. Maybe there is some stress with that. We actually had to take the cats but it was purely a record keeping exercise. I couldn’t tell you what my score was I don’t remember what the sections were. There was absolutely no preparation involved. We had to maintain a grade point average over two years of college. Vagabond MD: [00:04:27] We do some summer courses to make up for the on accumulate the credits required but then we went to medical school. So I started medical school, I think I just turned 20 when I started medical school with a bunch of other people in my program. Now I had at that point your regular 4 year medical student but then I did something else a little bit different. I knew I wanted to be in academics so I thought I did at that time and after my third year of medical school after a buddy of mine had done this the year before, I applied for a research fellowship through the Howard Hughes Medical Institute at the NIH. So I ended up taking 2 years. I was a one year program but I opted for a second year. So I ended up taking two years out during medical school to do bench research at the NIH and then I came back to medical school and I graduated with a class full of people I really didn’t know anybody out of because all of my friends from the first three years had all moved on to residencies. So that’s sort of how I became a doctor. WCI: [00:05:29] What do you think about that approach. I mean you basically took two years of undergraduate and swapped him for a couple of years at the NIH. Do you think in retrospect that that was a great way to train a doctor? Do you think that was perhaps had some disadvantages compared to the traditional pathway? Vagabond MD: [00:05:44] Well that wasn’t the plan from the outset. The plan was to be in a six year BSMD program. And I think there are advantages and some of them are financial. In fact all of us were given a half tuition scholarship at the University of Miami at the time. Vagabond MD: [00:05:58] If I mention how much that’s worth, People will chuckle because it’s such a low number but at the time it’s what half of private university tuition was. You also are eliminating two years of college and the expenses that go with that. So that that is somewhat advantageous. That said over the years colleagues and friends whose kids have been interested in going to medicine, have asked my opinion of that pathway and I personally don’t like it. I started with 17 people in my class at University of Miami as a first year college student and by the end of six years I think 8 had completed medical school on time. A couple never even made it to medical school a couple had problems in medical school. I just don’t think it’s an optimal pathway. I think there’s a lot of growth and maturation and rounding that occurs in college. And to be honest the kind of person that gets accepted into this program probably needs the maturation and well roundedness that you get at college more than maybe the average student. So I’m not a huge fan of. There is a very big program in the state where I live right now and there are a lot of my colleagues are products of a 6 year BSMD program and they continue to attract students to that. The university of Miami program change to, I believe it’s an eight year program where you get the commitment to get into the medical school from high school. But I think you have to go through maybe a couple more hoops. WCI: [00:07:23] What’s the advantage to the medical school to offer an acceptance to a 17 year old? Vagabond MD: [00:07:29] I think it’s perhaps more of an advantage to the college. I think you’re going to be creating spots for students with higher SAT scores then what we’re typically coming and also draws people to their honors program in general. So a lot of people would apply to the 6 year BSMD program. Not get in and be offered a spot in the Honors Program which came with the same scholarship etc. So it drew some positive attention to the university. WCI: [00:07:59] I know at 17 I certainly wasn’t ready to make that sort of a commitment. So I suppose for those that are and there certainly are people that have wanted to be a doctor their entire life, I guess it would work out well but it’s certainly a different pathway than most people are taking. Do you have any idea how many programs like there are in the country? Vagabond MD: [00:08:16] I don’t know, I think they’ve gone away from them in general I know we have one in my home state currently, That’s a six year program. When I was growing up in Pennsylvania there was a program affiliated with Penn State that was a five year program. Do you believe that? five years college in med school? I guess in other countries that’s sort of how it’s done so maybe it’s not that unusual. There may be a handful left I really haven’t kept up with To be honest. WCI: [00:08:39] Something to be said for not finishing your training 35 or 40 though you know. Vagabond MD: [00:08:43] Yeah I know, I agree for sure. WCI: [00:08:45] So after medical school what happened then? Vagabond MD: [00:08:48] After medical school, I matched at a top radiology program in the Midwest and I really intended to become an academic neuroradiologist. My research at the NIH was in neuroscience. I actually worked with a Nobel laureate. I published a bunch of papers. I really enjoyed it a lot. I didn’t want to do bench research I knew that but I did like the academic environment and I really thought I was going to become an academic neuro radiologist but it turned out that time, you know I a lot of a lot of decisions are made and you don’t realize that I think based on you know finding mentors and identifying with people who are maybe where you want to be or how you would like to be. And to be honest when I was a resident there really cool attendings or radiology where the eventual radiology attendings and those guys were, I mean everybody in the hospital relied on them and a great reputations and they were big personalities and I was really drawn to that. And the neuro radiology attendings didn’t have the same charisma. And they weren’t perhaps as strong mentors so I was drawn away from neuro radiology and towards intervention radiology. So I stayed on and did my fifth year which was an interventional radiology fellowship. Unfortunately at the time even though I wanted to be academics it was very tight job market it was the mid 90s. Radiology seems to have a very cyclical job market with big ups and downs swings and at the time there was really nothing in town for me in academia. Vagabond MD: [00:10:24] Along the way When I was a third year resident I met my wife, she wasn’t my wife when I met her obviously but I met my wife and we had our courtship and we got married Towards the end of my fellowship. And she had a pretty solid job in the town we live in and her parents were here so we decided we wanted to stay here. We broke all the rules and we bought a house when I was a fellow. And I broke a lot more house rules. Maybe we’ll get to that a little later but. So I was offered a job in a community hospital with a great reputation to be their second interventional radiologists and I took it. And for most of the last 22 years that’s where I’ve been. WCI: [00:11:06] What did your father the orthodondist think about your career as an interventional radiologist? Vagabond MD: [00:11:10] Well I’m glad you asked actually because I wanted to be an orthodontist and he steered me away from it. We had a lot of family friends growing up there were physicians and I think he always looked up to them as really the people with gravitas and people with respect and I think he always felt he maybe may have played second fiddle to them in some way. I never thought of it that way but he always steered away from orthodontics and dentistry and towards medicine and I get along the way I did pick up some physician mentors that were family friends and I think they also courted me in that direction. WCI: [00:11:50] That’s interesting because every time I talk to doctors they are like I should have been an orthodontist. Every time I’ve talked to a physician that is what they say, so it’s interesting to hear that maybe it goes the other way too a little bit. Vagabond MD: [00:12:01] It actually does and we’ve had the conversations since and I think he has a little bit of regret. That I didn’t do orthodontics, we could have practiced together, with a lot of possible things that could have happened but you know you know it doesn’t matter we went the way you know I went my way and I did fine and you know no regrets about the way the way things turned out. WCI: [00:12:21] Yeah I’m sure he’s very proud. Let’s change a little bit. I mean this is a financial podcast we’re supposed to talk about financial stuff. Let’s talk a little bit about your financial life and where you’re at with your financial life. You mentioned there had been some housing mistakes maybe were you didn’t follow the rules. Let’s talk about some of the mistakes you’ve made, some of the successes you’ve had and were that brings you to know 22 years out of residency. Vagabond MD: [00:12:44] OK well I should say that I’ve heard this expression first on the forum that I was born on third base because I didn’t have to pay for my education, it was all paid for by my by my family. And in fact that the end of that NIH fellowship I competed for and won a scholarship so I ended up graduating from medical school with maybe ten or fifteen thousand dollars in my pocket which was even then not the rule. I think back in the day when I was in medical school there were a lot of of my my fellow students who had their families paying for their medical school or at least a bigger part of it. I think that’s not as realistic today as it was 25 or so years ago. Vagabond MD: [00:13:24] So you know I came into residency with a surplus. I really didn’t save a lot of money as a resident. I did a little bit of investing in mutual funds. There was a core group of people that would talk about it a fair amount. I remember you know just random attendings and residents we’d be talking about Morningstar and Vanguard Wellesley for some reason that was like a favorite. 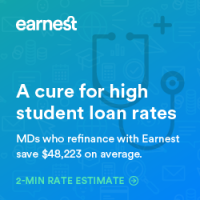 I don’t know why it was probably not the right choice for most of us but there was some conversation and I did gravitate toward those conversations but I didn’t really start to study the financial aspect of being a doctor until I finished residency. I would say the two biggest financial mistakes that I made were and the first one is very embarrassing and I probably told the story on the forum or elsewhere. But at the end of residency my car was kind of given out but it was a five year old Saturn and to be honest I really didn’t want it anymore so I was looking for an excuse. Now I had just signed a contract and I was excited about it. I was going to get a new car and I was going to a BMW and I was really going to go all out. And I ended up looking at cars and decided you know I don’t like the BMW as much. I think I’ll get a Volvo which is a little bit of an unusual choice too for a guy in his early 30s. But yeah whatever. So I bought this red Volvo turbo it was super fast, super slick and I had the car delivered to me before I received my first paycheck. Vagabond MD: [00:14:50] So obviously I was financing a really stupid thing to do I would have never done that today. But again I think sometimes you make mistakes and you learn from them. I think a lot of it is perhaps learning from the mistakes and not not making them again. I have a colleague who once said you know what you don’t have to keep hitting your head against the wall to realize you don’t like hitting your head against the wall. And I think there is some crude wisdom in that. So that was part of the one embarrassing financial mistake and I remember the first year or two going to the group meetings and we’d go to a restaurant afterwards and leaving the restaurant. And I had the nicest car of the practice for a while which was very embarrassing for me because I was in a practice with radiologists that had been in practice for 10 or 20 or 30 years and they’re driving Buicks and I’m driving this fancy European car. I was very embarrassed for for a period of time. WCI: [00:15:45] It’s interesting that you felt embarrassed. What is your mindset was that you were embarassed by that. Tell us a little bit about it. Vagabond MD: [00:15:53] I thought it was showy and I don’t know what I was really trying to accomplish with getting a fancy European car at that point. It turns out that was the most expensive car that I’ve ever purchased and it was just silly and I don’t know. I think a lot of it is the way we talk about it all the time you’ve talked about it extensively, is sort of the delayed gratification and I think when you come out of residency training or fellowship whatever whenever you come out, to some extent you feel like a coiled ring. You’ve built up all this want. I want this I want that. And you were just ready to explode and I think you really have to temper that particularly if you’re coming out with now Kids are coming out with hundreds of thousand dollars worth of debt. I think it’s even more critical to get things right early on. I had you know I had a reasonable cushion. I didn’t have any debt other than a reasonable mortgage at that time and it didn’t sink me but if I kept making mistakes like that it certainly could have. WCI: [00:16:59] For sure it’s almost more so the pattern and the mind set than it is the actual purchase especially when it’s something like a car you know, a set of skis, or something like that. You can actually probably afford that. But it’s the mindset you fall into that you end up you know the next thing is the house that costs too much and the kids in the private schools you can’t afford and all that kind of stuff. And some people just never recover. I’m amazed how many e-mails I get from doctors making 200 thousand dollars a year or more that are living literally hand-to-mouth. They just can’t wait for the next paycheck to come in. And I’m always surprised by that. But I guess I shouldn’t be after a while. Vagabond MD: [00:17:37] Right after I bought the car. I read two books. I finished around the time the Millionaire Next Door or came out. And that’s obviously a personal finance classic. And I probably heard a radio show about it, bought the book and I probably read it in like one night or two nights. It really was a page turner for me really made me feel stupid about the car. I remember it was like a doctor North Doctor South comparison and I was the bad doctor which ever that was. Vagabond MD: [00:18:06] And the other book was a very fundamental book and a classic at the time. I don’t think it’s I know it’s been updated but I don’t think gets mentioned as the must reads but it was Jane Bryant Quinn’s making the most of your money. I think that’s the title of it. Do you know that book Jim? I haven’t read that one but I have seen it and I agree it probably qualifies as a classic. I’ve seen a lot of people mention it over the years. Not recently but years ago it was pretty commonly recommended. It’s not the page turner that the millionaire next door was but it had a lot of a wisdom and it was pretty you know it was probably in a lot of ways a lot like the white coat investor book but just tailored to everyone. It covered everything was very comprehensive. WCI: [00:18:48] So you read through those books and then how did that change things? Vagabond MD: [00:18:52] Well I think it made me realize that you know if I keep up the behavior with the car and those sorts of things that were going to be in trouble. And then the next series of I don’t know if I would consider them financial mistakes they certainly didn’t hurt me but they could have. Vagabond MD: [00:19:07] I was at my job for two years. And I had this itch to to move away. And we were recruited to a job on the West Coast in the northwest and I took the job. And I was very excited. I had always wanted to live in the Northwest and we sold our house in one day and then we at the same time we bought a house there renovated and moved in. And I remember my first day of work it was probably around the 9th or 10th of July. I came back and I told my wife who was just starting her own job search that I don’t think this is going to work out and that the two month point I gave notice, three months notice. So I was gone before Christmas I started in July was gone before Christmas and they were not able to fill my job in the Midwest so I was able to come right back to my job. So we had to sell the house in the Northwest that we had just done some improvements and we ended up also starting the adoption process which required us to essentially didn’t require us but it kind of pushed us to buy a house. So in a period of about nine months I owned three different houses. I didn’t own them all at one time and there may have been a little bit of overlap. But it turns out that we got very lucky. We sold our house quickly in the Midwest. We bought a nice house in a nice area. At that time Microsoft Money was awash in the northwest and our house was gobbled up. Vagabond MD: [00:20:39] We ended up probably turning a small profit on it in the northwest and then we bought a house here that we’ve we’ve lived in ever since. So I think there was a little bit of instability there you know moving to a new job buying a house. Obviously a big no no. I would certainly not recommend doing that. I wouldn’t do it again. I know that was part of the recruitment process at the time I don’t know if that’s still the case with with doctor recruitment. But the places where I looked at jobs elsewhere there was often at least a drive around with a real estate agent so you know I think it was part of the recruitment process you try. I think they try to get you to maybe envision what your life your ideal life could be when you joined the practice. Just guessing so that it could have been a financial disaster it ended up turning out all right. But you know again not you know it’s something I would not recommend doing or would not do it again that way if I had to. WCI: [00:21:33] Certainly something that a lot of doctors have been caught in there. So since then you’ve been in one house, it sounds like it’s probably worked out well for you financially? Vagabond MD: [00:21:42] Yeah that’s been fine. We I’m starting to hate my house and this conversation has recently spilled into the forum because I’m not very handy with doing things and I feel like I’m always playing whack a mole with whatever whatever thing happens to come up. Vagabond MD: [00:21:58] We had the Plumber here fixing two things yesterday and I asked him I asked my wife who met with him if he could also take care of the ants in the bathroom and maybe throw some grass down in the backyard. We just happened to have as you know live worker in the House to do stuff and I was well I was hoping to get everything done. But I think that’s one of the things that I think as a young person coming out of training you feel the pressure to buy a house establish routes. Homeownership is a marathon it’s a long slog and I wouldn’t rush into it. You know as a young person you have plenty of time to live in that house. You’ll get to fix and paint every room, replace every appliance. Maybe a couple round trips. I’ve already done two round trips on two air conditioners and two Furnace Since we’ve lived here. It’s just there’s always something to do. We have an older house who was built in 1934 and it’s a great neighborhood, great school district all that stuff. But it’s just a lot of work and I feel like it’s at some days I feel like I’m carrying the weight of my house on me and it’s it’s it’s can be a burden over time so in terms of financially it worked out well. After I did the flurry of all the turnover of the houses we’ve been in one house now for our 20th year and we’re not likely going to move out of here until perhaps my daughter who is a rising junior in high school leaves and then we’ll think about maybe reducing our footprint maybe moving out of the area we’ll just have to see. WCI: [00:23:35] Sounds like you have been investing for most of your career. Tell me about that? How your investments have changed over the years if they have and and what that’s been like to be an investor over now A couple of decades plus? Vagabond MD: [00:23:49] Well I think I have really been interested in investing since I was a resident and fellow and I had a partner in my group that was really interested in value investing. He received some of the periodicals of the time. He was a real big Warren Buffett fan before everybody was and he took me under his wing as well. Now the investing climate twenty two or so years ago was a lot different than it is now. The emphasis on low cost index funds it was just starting I think when I first bought the Vanguard Index 500 fund it was BFINX and the expense ratio was about point four percent, 40 basis points. And now if you mentioned 40 basis points to the core investor community people are agas that is virtually criminal or outlandish. But that was that was low cost investing back in the day. I also was involved in a online community at AOL called Saige. It was a mutual fund education site and I became one of the community leaders and we had discussions about mutual funds and it was primarily about actively managed mutual funds. We would interview managers. It was actually pretty fun and interesting but that was the investing climate of the day. So that’s what I was investing and I was investing in actively managed mutual funds for the most part occasionally buying some stocks. Vagabond MD: [00:25:16] I got caught up in the tech boom early in my career I kind of graduated right into it and I actually have an upcoming article on the physician on fire site about my first two bear markets and how I emotionally handle them and what did I did. 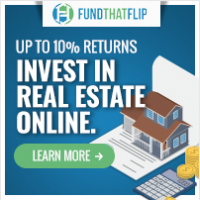 How did they change my investment process? So I don’t have to necessarily talk talk about all those things here. I think I will be out there later this summer. But over the years I’ve gotten more into low cost. For a while our group moved our retirement plan to an AUM model using an advisor that is affiliated with the Larry Swedroe of Bogle heads forum Fame is one of the principles of this firm and its local here and we use that firm. So We are really into all of the small value and cutting tail risks and all the DFA funds in particular. And I use that advisor for my retirement plan and also my personal assets for a period of time. And what I noticed over time I started to shunt my taxable stuff back to Vanguard. I was kind of like cheating on them. And once I realized that was doing that I it was it was time to move along. I’ve read a lot of investing books over the years and one of my favorite authors is Phil deMuth. You’re probably familiar with him and one of the one of the great lines in one of his books was an investment adviser is a fellow who lands in your lap and once you find him on your lap you have a tough time getting him off your lap. And I think there is some truth to that. Vagabond MD: [00:26:56] It’s a relationship and they do a very good job of of building that relationship with you and it’s almost like a divorce of sorts or at least a breakup when when you try to leave an adviser. 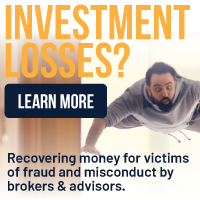 So about five or six years ago I started to detach from the adviser and getting caught a little more involved in my investments again and to be honest that’s when I rediscovered or discovered the white coat investor it was probably on the Bogle heads forum. I saw you posting I probably found a link to one of your or one of your blog posts and I started reading and that’s probably where we first started interacting and either on the Bogle heads forum itself or on your blogs in the comments section. WCI: [00:27:43] So what do you think about that? What was that like when you first came in contact with the white coat investor? Vagabond MD: [00:27:49] Well actually I was I was very impressed. I thought you know I probably was probably 2013 14 and I really think some of your earliest work which you occasionally you linked to. It’s much more foundational and fabulous and I thought that I wish I had something like this when I was coming out of training. I kind of wandered around from from one thing to the next and the actively managed funds and I was trading stocks for a while and with advisers and nothing anything. Any of those things are necessarily wrong but clearly I didn’t really find the right path the right mentor for me and I think to be honest I think the White coat investor you individually in the White Coat itself as an enterprise has become a virtual mentor for me in my financial life. 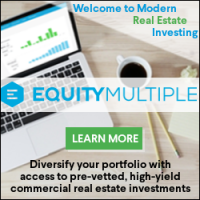 WCI: [00:28:40] You know it’s really interesting a lot of people call me at the White coat investor but I was never really the intent of the blog. When I titled the blog I looked at the White Coat investors being the audience of the blog rather than the writer of the blog. And so I’ve always found that interesting people call me that I suppose it’s natural but I look at it as the white coat investors are those that are out there reading it. Vagabond MD: [00:29:04] So that’s it’s interesting. I had never thought or heard that until this moment. WCI: [00:29:08] So now you you’re kind of a fixture on the forum you’ve helped thousands of people on the forum it seems like over the last few years. Tell us about the white coat investor forum what you like and dislike about it and why you spend time there. Vagabond MD: [00:29:22] Well I really like the forum a lot. I think it’s a great opportunity to crowd source information for Docs things that you really can’t find anywhere. I mean anybody who listens to the podcast who hasn’t gone over there really should check it out. For one thing I think it’s a very friendly forum. Not all forums are friendly some are harsh some are very negative. Sermo comes to mind in the latter category. I think it’s really a very friendly forum if you come and you ask a question you’ll get you’ll get some answers and you’ll get multiple answers and to be honest you know sometimes I like the white coat investor party line answer and sometimes I disagree with that. You and I had a little bit of a disagreement. Vagabond MD: [00:30:04] A friendly one of course over the you know what were the causes of burnout. And you know I think there is some the some of the questions have multiple answers. But if you need a fact check like how to do a backdoor Roth IRA or you know this is what I’m being offered contractually by a group. Those sorts of questions I don’t think there is a better place to ask those questions to be honest because you have you know at any one time probably hundreds you know the readership more than I do because you have the stats but probably hundreds of doctors potentially looking looking at your question and giving you an answer. It may not be the right answer or the right answer for you but it is an answer. And I think the quality of the information is generally very good. I’ve not really seen a whole lot that I would consider to be frankly wrong. I think sometimes opinions can be nuanced obviously or people can have one opinion or the other. Sometimes you know different personal philosophies get involved but you know you ask a question you get a lot of a lot of answers and you get a lot of eyeballs of experience people and interested people taking part in it. WCI: [00:31:12] Yeah I think those are excellent descriptions of the benefits of a forum and I’ve got a confession to make. Right. Everybody likes their financial information in a different format. A lot of the people listen to this for podcasts for instance. Other people read blogs and you know still other people prefer books. Well kind of my preferred format for learning stuff is a forum. I like forums. I’m a member of eight or ten forums that I regularly visit. You know all kinds of different subjects. If I take up a new hobby I find a forum for it online somewhere and so I really like forums I can learn a lot there from the back and forth. And I agree that sometimes some of the most useful discussions are the ones that don’t have a right answer where people are having a disagreement especially if you can find two or three you know well informed educated opinions on it that differ. Those are the threads where you really learn a lot. I think so. I’m a big fan of forums. Obviously the White coat investor forum is only a tiny chunk of what we do here at the White coat investor but I think it’s you know if I was wandering in. That’s probably where I would end up just because I prefer that I really didn’t read a lot of blogs before I started blogging myself. But I did spend thousands of thousands of hours on forums. Vagabond MD: [00:32:26] Right. I think you know perhaps in part built your reputation on that Bogle heads forum which is a terrific forum for financial information and I’m like you. I tend to gravitate towards forums in my areas of interest whatever they happen to be at the moment. And if I really want to learn about something quickly I think a high quality forum can move you up the learning curve very quickly. WCI: [00:32:51] For sure. They’re great resources. Now you came out to see us in Park City. You came to the White Coat investor conference one of the lucky few that signed up quickly it turned out After it filled in six days. But tell us about your experience there what was that like? Vagabond MD: [00:33:05] Well I had a great time. I would say that you probably think you probably already published the feedback from the questionnaire afterwards. A surve. Everybody had a great time. I think one of the things I enjoy. There’s a couple of things I really liked. First of all I’ve made some friends on the forum on the give a couple shout outs but probably miss a couple too so I’m Sorry about that. But my my friend Hatton and my friend Zaphod, my friend neuro Doc, my friend Nachs, wally world. And I’m going to stop because I’m going to start missing people. Oh yeah, tooth Carpenter. Anyways I got to meet some of the people that I had interacted with on the forum and that was great. I really enjoyed hanging out with them. We went for dinner. I think we we had a bunch of us left early on Saturday night right after the lectures because weather was coming in. And I remember we were driving down to Salt Lake from Park City and we were laughing in the car the entire time. I don’t know remember we were laughing about but we were joking around. We’re just having a blast and I think we really think the meeting these people in person really enhanced are our online friendships that started on the forum. So that was really great. Vagabond MD: [00:34:19] Now the quality of the presentations were also terrific. I think obviously you’re a great speaker. I don’t know. I mentioned this earlier but you and I met three or four years ago when you were in my town for a paid presentation and I remember you when you got up to talk you said something like you, This might be part of your routine, You said you know I’m not a very good speaker and then you went on to give probably the best lecture and I’m not talking about the content but just the delivery the way you walk the room the way you timed it, paced it, it was fabulous. You could have been talking about toy trains or something and I would have been riveted. So anyways you know you’re well known to be a speaker you gave gave us some content that really hadn’t been out there yet and that was terrific. I really enjoyed Jonathan Clements and Bill Bernstein in person. And nothing nothing new but to really hear it directly from them. It really was very impactful. I enjoyed getting to meet the physician on fire in person. I’ve had a little bit of connection with him online in the background. I’ve done a few guest blogs for him and like I said I have another one coming up later this summer. So I enjoyed getting to meet him in person and his unmasking that was that was sort of fun too. Vagabond MD: [00:35:38] And one thing that struck me in a couple of us talked about this one when I go to a medical meeting, I’m usually going to a meeting of either my specialty or my subspecialty. I don’t think I’ve ever really gone to a meeting of people of all different specialties and different ages where the meeting was not around the medicine but around the common interest but we were all doctors and if you think about it that doesn’t really happen that way very often. People were super friendly and I got to meet a lot of people. I always talk to people on either side of me who were sitting next to me and got to know them. It was really I think everybody really was very you know in the mood for meeting people. There’s something about the chemistry there that was just just great. I mean you can’t predict that that’s going to happen obviously you can’t buy that. But it really happened. It was kind of magical in a way. And you know I’m looking forward to the next conference whenever that is. I hope I get my application in time. WCI: [00:36:32] I think it’s going to feel pretty quick once people saw how quickly the last one filled but it’s interesting when you look at the feedback from that meeting that was nearly universally positive I think we had one person that didn’t recommend it to their peers so it ended up being something like ninety nine point five percent you know recommended to their peers. Glad I came etc. I haven’t figured out who that one person was but maybe they just felt like it was too unanimous I don’t know. But people came to a for all kinds of different reasons. You know there were people there were very advanced like yourself financially that you kind of know this stuff that can listen to a Bill Bernstein talk and have nothing new in it. You know that’s a pretty rare Daoc actually though when you look at a cross-section of physicians across the country. WCI: [00:37:18] And then we had people that had literally never really read a financial book and just thought you know what is time to get this stuff in order. I like conferences so I’m going to go to a conference and it’s a great chance to go to Park City and maybe go skiing too. So what surprised me was just how wide the spectrum was in expertise. And so I was very happy to see that the presenters you know ranged from pretty advanced material like some of the tax saving tips from Mike Piper to you know some of the more basic kind of financial planning stuff like the stuff Sarah Catherine Gutierrez did that she walks New clients through. And so I think there there’s something for everybody there and I hope not just the material you know the information was useful to people but also kind of the inspiration to take control. Vagabond MD: [00:38:09] Yeah yeah the camaraderie was terrific and I think you know people. Yeah. You know people were influencers of each other in a positive way. I want to tell one story, I have a little bit of a big mouth on your forum as you know. And there are people who read who don’t post and they’re probably a lot of people and maybe the people posting are tip of the iceberg. I think in general that’s the case for forums there tend to be more readers than active posters. But one of the attendees you probably would not know this specifically sought me out because my burnout story is out there in other venues. Vagabond MD: [00:38:45] And he wanted to meet me and talk to me about it and he came to the meeting because his wife signed him up. She thought he needed to go and learn about burnout. He was in great financial condition we had a nice talk for maybe about an hour after one of the sessions and you know he just wanted to learn more about burnout. And you know where his financial picture fits in that. And we had a great conversation and a little bit of a follow up and you know it was great then you able to you know just help people casually like that too. WCI: [00:39:14] Yeah that was certainly one of the most enjoyable parts for me. I mean it felt like I was kind of on for three days straight just talking to him. I’m glad my voice held out to the end. But I’ll bet I must have shaken almost everybody’s hand that attended. It was really great to meet everybody personally. Vagabond MD: [00:39:29] The book signing thing was a great idea too because it was great to have an opportunity to meet all those people and get our pictures taken if we wanted or or however we wanted to be to be met. It was a lot of fun. Everything was great. I don’t think I don’t think there is anything I could say that I didn’t like about it except that it wasn’t long enough. To be honest I would have liked another day just because we were having so much fun. WCI: [00:39:53] You know we definitely got that message I think if, and it sounds like we probably will do this again. I think it’s going to be three days instead of two. So I think most people felt that way about her as well. WCI: [00:40:05] Well let’s shift tactics here a little bit. You are well known to have a pretty good head as far as finances go. And the answers you give on the forum for instance are very comprehensive. I mean you’re submitting a guest post to some of the most widely read blogs in the physician blogosphere. 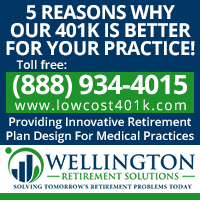 So if you will you’re a bit of an authority when it comes to physician financial topics. 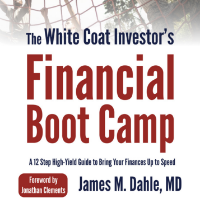 So if you had 10 minutes with every physician in the country listening what would you teach them about personal finance and investing? Vagabond MD: [00:40:41] Well I may take this in a different direction. If you don’t mind. Because I’ve sort of done this with my new colleagues in my practice. And I think that’s we recently hired three people out of training and then a fourth from another practice, he hasn’t started yet. But I approach them with the fact that they’re responsible for their financial lives. And I’d like to be a resource for them if they have any questions. And I gave them your book. And I suggested that they read it. And if you have any questions or if you want to read more I can suggest more books to read. But I think impressing upon people that nobody is more responsible or more interested in your financial life than you are. And there are a whole lot of people who are interested in getting a piece of that financial life and that may not be always in your best interest. Vagabond MD: [00:41:41] In fact a lot of time it’s not in your best interest. So I think it’s really critical to learn about the things that you need to deal with. 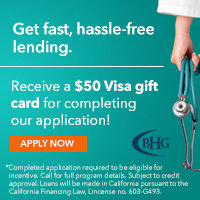 If you’re paying off loans, You need to become a virtual expert on paying off your loans. If you’re buying a house, You need to know a lot about not only the market where you’re buying your house but mortgages and what’s best for you. 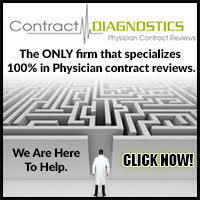 If you’re going to take a job and sign a contract you better learn about it What are the pitfalls of physician contracts so on and on. All these aspects of your professional life that have nothing to do with the medicine they taught you in school or in training you really have to become not an expert but an authority at least know. You have to be at the top of the game of how it applies to you because there are some people who are going to try to try to get between you and your money in ways that are not to your advantage. WCI: [00:42:37] Yes certainly that warning has been a big part of the message I’ve passed out at the White coat investor over the years. So what do you think the reception is as you’re talking to these young docs, do any of them come back and talk to you about finances? Do you think any of them actually read the book or what kind of feedback do you get? Vagabond MD: [00:42:52] Yeah it’s interesting because there have been three completely different responses. And I don’t know for sure if any of them could be listening to this podcast. Vagabond MD: [00:43:02] It’s possible that one would be well one of them read it like over a weekend and came back with a list of questions for me and we ended up meeting for breakfast or brunch or whatever had a meal I took them out and He asked me questions. We went through them. I gave him some more resources and I’m trying not to answer questions directly but giving giving additional resources, because a lot of the questions don’t have a straight answer like should I do the Roth 401K or the pre-tax one. Those sorts of things. You know it’s not as if it were a straight forward. Every time one answer is correct answer I would give it but instead I would send an article of yours or a physician on fire or somebody who’s credible maybe a couple articles so they could read about it and see the pros and cons of the various approaches. So anyways one of the guys very interesting. We’ve had a lot of conversations in person and by text super interested super engaged. He’ll be fine. Vagabond MD: [00:44:00] The second one eventually read the book. I also sent links to Bernstein’s if I can book to them after the conference because he was offering it to attendees for free. I believe that was extended to anybody who wants to wants to download it that weekend. And he actually read the second book The Bernstein book which I was surprised because it didn’t seem that interested at first. He’s come to me occasionally with a question or two and I’ll give him the information that you know that he wants or lead him to the information that he wants. And the third I don’t know the third person did not read the book and is not interested. I think that person as a family member who’s a CPA. And I think that’s how that person is handling their finances. WCI: [00:44:46] Lots of approaches there. Vagabond MD: [00:44:48] Yeah we had somebody who was super interested engaged, somebody who’s kind of medium interest in that, and the third person is not that all. WCI: [00:44:55] I like your approach of teaching a man to fish. Rather than just giving him a fish. Vagabond MD: [00:45:00] Well it’s that there’s a couple of things to add. For one thing these are associates in our practice. And I don’t want to vicariously create some kind of fiduciary relationship or or something along those lines to put me or them in a bad position. But really they need to learn what the issues are and to understand that and just getting the answer. It’s like in medical school just getting the answer isn’t always the best approach. I think finding out how to find the answer and what answer worked for you. Because many of these questions are not completely black and whites and over time they might change. So the answer today as a single person as an associate might be different from five years from now with a couple kids in the picture and a wife and the house or or whatever so I think learning the underpinnings of the issue are important because you know things change, tax laws change too, and that might change the answer. WCI: [00:45:57] That’s exactly right. The answers do change over time. Kind of like medicine that way I suppose. 50 percent of what you learned in medical school is wrong you just don’t know which 50 percent. Vagabond MD: [00:46:05] Right exactly. WCI: [00:46:07] Well you’re a middle maybe even late career Now. As you look around your colleagues that are about the same age about the same distance out of training what mistakes do you see them making? Vagabond MD: [00:46:20] I think that it’s mostly the mistakes that you talk about and others talk about in personal finance circles. The big house, the general luxury items you know I don’t think any individual thing is a problem but I think when you stack them all up it becomes a problem. And you know I think you’ve said it in various ways. Yeah you can have a big house but maybe you can’t have private schools and or yeah you can go to private schools but then you know maybe not so much jewelry. Whatever the luxury items are I think. Now I think you’ve said it as you can have anything but not everything. And I think there are a lot of people that try to do not everything but as much as they can in terms of consumables. And I think you know I think I’ve been guilty of that at times in my life. Not so much in recent years as my wife would tell you become a little more spartan but I think you know I think people are looking for ways to be happy to feel gratified. You know medicine and a long career can be quite a slog and you get beaten down a lot and you’re looking for ways to make yourself feel better. And I think for some people the maybe the dopamine rush of a car or piece of jewelry or or some other you know item like that even though we all know it’s transience. You know you get your fix so you can get through get through the moments. WCI: [00:47:53] You mentioned your become more spartan recently. Do you think that’s an effect of you kind of moving away from a financial adviser and doing things on your own and maybe engaging a little bit more in the blogosphere and the personal finance community online? Vagabond MD: [00:48:07] I think that’s part of it. I think it may be a little bit of a maturation process to learning that you know having stuff is not making me happy. In fact I’ve gone the other way. And I think that having too much stuff is making me unhappy when my desk is cluttered, I’m unhappy. If I go to my closet and have so many shirts I can’t pick one out to wear. That makes me unhappy. So I’m not going all gung ho minimalist but I am starting to think about ways to remove remove items from my life and you know value experiences over those. [00:48:41] At one point actually I literally traded, I was driving this is about seven or eight years ago. I was driving a BMW convertible and ended up literally trading it for a trip to Paris one for one. I didn’t go to the dealer, I sold the car and I took that exact pot of money and took the family to Paris and to be honest I never really liked the car. This is this is the conversation that everybody has In retrospect. I worried about the car I didn’t want it to get scratched. I didn’t want to get ding. I was worried about where I parked it I wouldn’t take it Certain places. And the car was sort of you know it was supposed to be something that brought me pleasure or joy in some fashion and it mostly brought me anxiety. Vagabond MD: [00:49:24] So car goes away. Get a Prius. I was very happy with that Prius. My daughter drives that now and I took the money that I got from signed the car and took the family to Paris. And you know I said any time I think of Paris and that trip it’s only fond memories. I loved that I loved the trip. I would love to do it again sometime. Just a blast. WCI: [00:49:45] You know it’s interesting you mention that you know that hassle with the car about you know worrying about dinging it up and that kind of thing. I can really relate to that. The first thing I ever bought that was brand new you know as far as a large purchase item was that boat I bought in 2015. And we beat on this boat ride we took a camping. So you load a full of camping gear and loaded full of canyoning gear and that kind of stuff. And you know we are definitely not rubbing it with a diaper in the garage. But I often have to remind myself this is what I bought it for. I bought it to beat it up. I bought it to use it and expect it to depreciate. I expected to be worth nothing when I’m done with it. You know this is a consumable item but I think that’s really hard to do when you shell out a lot of money for something that’s really shiny and it is brand new. Especially when you’ve never had something like that in your life before. Vagabond MD: [00:50:37] It really is. And in fact the Prius I really enjoy driving a lot and my kids would make fun of me. I don’t know what it’s like in Salt Lake but around here there’s nothing less cool than getting dropped off in a Prius. I think maybe on the West Coast it’s a little different. But I was told my kids would really razz me about it it was a bright blue Prius and they would have the impact and drop them off maybe a block before school so they made it their friends into them getting out of the well. WCI: [00:51:06] It’s bad to get out of a Prius out there pretty bad. Vagabond MD: [00:51:09] Anyways my daughter is driving that now and she’s sucking it up. I think she’s hoping maybe good behavior she’ll get an upgrade down the road which if she’s listening to this she won’t. WCI: [00:51:20] It reminds me of that movie from a few years back where the suspected killer was driving a Prius. I can remember when the movie was about. But the cops just couldn’t believe the getaway car was a Prius. Right. At any rate let’s turn to the other end of the career and think about buddy that’s maybe considering medical school. And what do you think is becoming a doctor still worth it? And does that change at a certain level of debt? Vagabond MD: [00:51:48] I think I think if you really want to be a doctor really want to be a doctor to do Doctor work. It’s your call and I think that you should still go for it. Vagabond MD: [00:51:59] I think that if you want to become a doctor because it’s a nice lifestyle and it’s a respectable profession and you can make a decent amount of money, I think if that’s a big part of the motivation. I think you should really think think hard before going down that path because I think it’s harder than ever to be a doctor in this environment. Financial issues aside. So I think it’s got to be more than just about the money to see to see it through. That said I think you know there’s never been a better time to do other things with your M.D. degree. 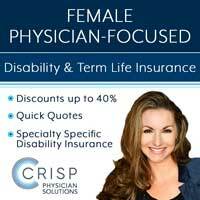 I think there’s a lot of opportunity in industry and actual bench research or clinical research obviously but just in industry and technical writing and marketing being a medical director for an insurance company there’s tons of things you can do with an M.D. degree that aren’t quite the doctoring that you and I talk about when we talk about being a doctor. So I think there you know I think if you really want to be a doctor or really know that you’re going to use your M.D. degree to do something that you need to have an M.D. degree for that’s great. I think if you if your image is that old high status profession where you’re treated with respect then you and I both know that’s not the case anymore. And you know the financial renumeration you know it’s just not what it once was. I think the investment in the career reward to investment ratio is just not what it once was. And if that’s your real motivation for being a doctor if you look into your heart and that’s what it is. And I think you really should think about do something else. 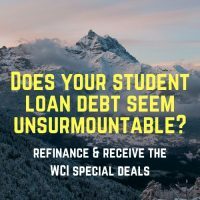 WCI: [00:53:43] Now there are some students that are looking at these ratios of finishing their training particularly dentists and dental specialists where they’re looking at three to four times what their eventual maximum salary is going to be in debt in order to reach that salary. Is there any point there where you think it’s just too much it’s not worth it? Vagabond MD: [00:54:08] I think that I don’t think there a particular tipping point but certainly as the ratio gets higher and I really haven’t thought about it a whole lot to try to come up with an actual number but certainly as the investment gets higher and the renumeration you know is stable or maybe has downward pressure. I think it becomes a bad deal at some point. 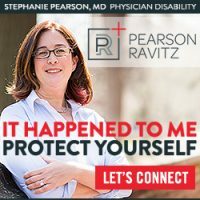 And I think the problem really is that you don’t know how it’s going to turn out when you’re going and if you go into dental school and become an orthodontist and you are making high six figures a year it’s all going to work out as you talked about on the recent podcast with Dr. Meru. Vagabond MD: [00:54:48] But you don’t you don’t know that that’s necessarily going to be you. That might be what you want to do. But maybe you don’t get the grades or or you don’t like orthodontics it turns out or whatever it is and maybe you’re a general dentist now working for some some company because you need to live in some city and you’re making 120 thousand dollars a year as a as a general dentist and you know it just might not be that great a deal and going into it. You don’t know what the outcome is really going to be like you only have so much influence on that. WCI: [00:55:18] Well as we get toward the end here we probably ought to start wrapping it up but I wanted to give you a chance to if there’s anything else you think our listeners ought to know or that you’d like to tell them to give you a chance to say your piece to them. Vagabond MD: [00:55:31] I didn’t want the listeners to think that my entire career was buying houses and cars and make a lot of financial mistakes and although I certainly did make some financial mistakes over the years and we talked about them I think the one thing that leads to financial success that a physician can have is that just continuing to save and invest throughout the entire career. And I’ve been doing this now for 22 years and despite all that has gone on in my life I was able to maximize my retirement space for myself and my wife and additionally put money away in savings and taxable investment accounts every single month. And that happened no matter what was going on our lives whether we were buying a house or adopting a child or taking a big trip. What came first was putting away the money for the future. The other thing that I would like to add is that I want physicians particularly early career physicians to realize that their views of the world, of their career, of themselves will change over time and that has a lot of financial implications. At some point you might not like your job as much as you do today and at some point maybe after that you might like it more than you ever did. But I think the key is to prepare financially for those changes in how you view yourself both personally and professionally over the long course of a career. WCI: [00:57:07] Well thank you so much for being on the show Robert aka vagabond M.D. And I wanted to personally thank you for the service you have rendered to your fellow physicians and other high income professionals on the forum. I literally cannot answer all the questions that people have out there and so forum members have taken a huge burden off my shoulders to answer many of them and to lead people to water. You know you can’t always make the horse drink but you can always lead them to water. And I appreciate you doing that. So thank you very much. Vagabond MD: [00:57:37] Well thanks for having me again appreciate it. WCI: [00:57:42] This episode was sponsored by our friends Zoe financial. 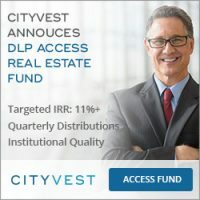 Finding a reputable financial adviser can be difficult and even more difficult is finding an adviser you personally connect with. That also specializes in the areas where you need help like taxes, diversifying investments or just budgeting. That’s Zoe Fin comes in. They’ve developed an algorithm that matches you with an advisor based on your unique life stage and goals. All of the advisers is always network or independent accredited Fee only fiduciaries and amazingly this means that Zoe rejects 95 percent of the advisers they interview. 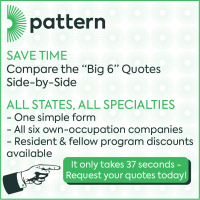 So you don’t have to waste time with salespeople. 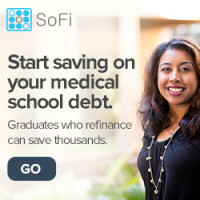 Visit Zoe fin dot com slash white coat, take their quiz and schedule your free call today. That is Zoe Fin dot com slash white coat. Head up shoulders back. You’ve got this. We can help. See you next time. Nice to see examples of even the greats making mistakes (so I don’t feel so bad with my own set of them). 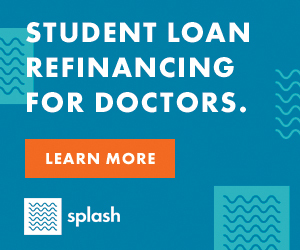 I think there will definitely be a tilling point when student loans get so high and medical reimbursements get so low that the former best and brightest students that were once attracted to medicine then turn to another field. Thanks for listening to my rambling. We all make mistakes. The key is to learn from them. Better yet, learn from the mistakes of others, so you don’t have to make them yourself. It think it is because your site is called White Coat Investor, not White Coat Investors. If it was plural, it would be all of us like you state. Because it is singular, we assume it refers to you individually. At least thats my take on the observation. Hmmmm…you may be right. Oh well. Definitely too late to change that, it’s trademarked. Awesome interview! It is nice to learn more about a prolific force in the physican finance realm. I look forward to the post on PoF. I can relate to the WCI issue. I thought of my blog as a way to help doctors become and stay wealthy. I didn’t mean it to be I am “the Wealthy Doc” but that is how it seemed to turn. Thanks for listening and the kind words. I have much admiration for the work you do in this space. Loved the podcast Vagabond and WCI. I didn’t know you adopted. We adopted 2 orphans from China, totally amazing experience. They are now entering adulthood. Thanks for listening. Our adoptions were both domestic, and our kids are now teenagers. Time flies! Your current middle-class life is an Exploding Volcano of Wastefulness, and by learning to see the truth in this statement, you will easily be able to cut your expenses in half – leaving you saving half of your income. Or two thirds, or more.